The Supreme Court collegium headed by CJI R.M. Lodha had set a precedent last month, by suggesting names of two previous solicitors general, Gopal Subramanium and R.F. Nariman for elevation as Supreme Court judges. However, the events that followed led to controversies budding from within all the organs of the democracy. 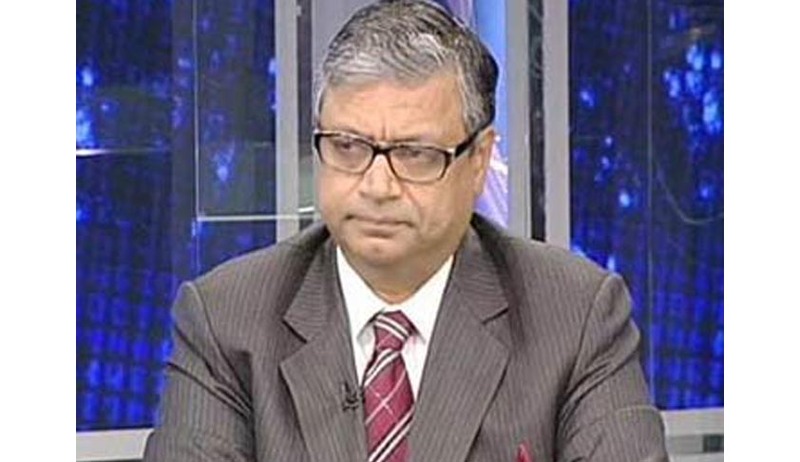 The Government turned down the appointment of Gopal Subramanium as a Supreme Court judge, while clearing the names of senior advocate Rohinton Nariman and the Chief Justices of the Calcutta and Orissa High Courts, Arun Mishra and Adarsh Kumar Goel. He asserted that he has acted strictly according to his conscious at all times as a lawyer. He stated that he does not wish to be placed in any position of embarrassment, having lived a life of professional dignity and honor. With the reservations expressed by the Government, he would be hesitant to join the Court, raising doubts in his mind as to the ability of the Executive Government to appreciate and respect the independence, integrity, and glory of the judicial institution. In an interview to CNN IBN, he asserted that no judge wants to be an unwelcomed visitor to the Bench. He claimed that his independence, due to his reserved professional conduct, has worked against him here. Besides, Subramanium also demanded a clear statement of confidence from the Court, however contending that in any case, his personal character is not dependent on the outcome of such willingness. He stated that he would commence work, only after the incumbent Chief Justice of India, R.M. Lodha demits office, as a mark of respect following the highest established traditions. Subramanium attributed the rejection of his name, to his assistance to the Supreme Court between 2007 and 2011 as amicus curiae in the matters of Rubabbuddin Sheikh v. State of Gujarat and Narmada Bai v. State of Gujarat. He stated that he is being targeted because of the much appreciated independence and integrity, which he maintains in his professional life and his undying respect for the Court. He explained his entire journey in unearthing the Sohrabuddin fake encounter case, wherein he had exposed the presence of an eye-witness, Mr. Tulsiram Prajapati as well as his mysterious liquidation. He had pleaded a CBI inquiry into the matter, pointing out several anomalies in the CBI report as well. He denied any personal motivation in the matter. He also recollected his only meet with Narendra Modi. He asserted that the recent weeks have witnessed some serious constitutional aberrations, pointing to the media articles regarding adverse reports against him by the Intelligence Bureau and CBI, which he termed as malicious insinuations based on half-truths. He then went on to clarify the allegations against him, stating that the Intelligence Bureau had given him a clean chit on 15th May, 2014. The IB has sought his advice over crucial matters of national security for over 25years now, being its top lawyer even after his resignation from the post of Solicitor General. Hence, if there was any doubt as to his credibility, the CBI wouldn’t engage him as a lead counsel over the past 20 years. As far as his meeting with a lawyer in the 2G case is concerned, he clarified that these allegations are factually incorrect. He stated that he had asked CBI officers about their investigation against the former Telecom Minister, so that any incorrect stand might not be taken before the court. The then Prime Minister had also accepted his advice to allow a CBI investigation, notwithstanding the disposal of the writ petition relating to arbitrary allotments. He was motivated by the highest sense of assisting the Supreme Court in the matter and hence, kept the authorities appraised on the matter. He has also disclosed a letter that he had written to Mr. Aroon Purie of India Today magazine, clarifying aspects of his involvement. In the interview, he even stated that there was a threat to his life when he was conducting the Sohrabuddin case, adding that if the Government has a problem with his nature, he can’t be expected to change it. With regard to the allegations of taking gratification from Niira Radia, in the form of a swimming pool membership, he stated that he had acquired it through the then Additional Solicitor General, Mr. Parag P. Tripathi. He had acquired membership due to his physician’s advice for physical exercise. Expressing his resentment towards the decision, he stated, “I do not consider that the Executive Government is entitled to judge my character after having seen me in public and professional domain for over 34 years. The fact that such attempts could be made discloses not only a failing standard in constitutionalist, but obviously one encouraged by certain accommodative participants. My character and integrity do not need to be proved every morning. As long as Justice Krishna Iyer and Venkatachaliah stand by me, I do not need to seek further fortifications.” He also placed letters of appreciation by Justice S.H. Kapadia as well as by the former Minister for Law and Justice, Dr. Veerappa Moily. He is pained by the fact that the recommendations were segregated without the consent of the collegium, clearing three names for the post, without even sending back his name for reconsideration. He goes on to state that the three appointments hence, appear to be against the framework prescribed by the Constitution and by the Supreme Court in various pronouncements. He clarifies this stand in the interview, stating that segregation cannot happen by the executive. It can send a name for reconsideration but for them to choose what mangoes are okay and which one needs to be discarded from a basket is not permitted under the present constitutional and legal framework. He repudiated the outrageous allegations and withdrew his consent to be appointed a Judge, as according to him that is the least he owed to the fellow nominees. Subramanium, in the interview has asserted that if an incursion like this is allowed to happen, it will lower benchmarks. He felt that while permitting the segregation, there has been a surrender of independence by the judiciary. He finally had an advice for the legislative as well as the judiciary. He advised the executive that the standard belief that you must have judges who simply agree with you, go along with you, may not interrogate you and you have a certain added level of comfort is extraneous to Parliamentary democracy. For the judiciary, he wanted them to understand that likes and dislikes are not ever meant to be accommodated in the radius of their thinking. It would just lead to lowering of benchmarks. As for the Prime Minister, he urged him to review and understand the position relating to the nature of judicial process and the importance of having interrogative elements within the judiciary for the sake of diversity of opinion making. Read the letter to the CJI here.